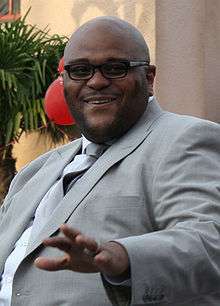 Eighth-place finisher, Rickey Smith was killed in a car crash on May 6, 2016, making him the second American Idol finalist to die, following Michael Johns in 2014. The number of auditioners increased significantly after the success of the Season 1, and arenas and stadia started to be used to hold the first auditions from this season onwards when the Rose Bowl in Pasadena was used this season instead of the hotel originally planned. Around 70,000 attended the auditions this season and 234 were selected to proceed on to the Hollywood round. Radio DJ Angie Martinez was originally signed up as a fourth judge, but quit after a few days, stating that "it became too uncomfortable for me to tell someone else to give up on their dream". Paula Abdul was absent from the Atlanta audition. At the Miami auditions, one failed auditioner was Edgar Nova who, after being rejected, tried to get back again and had to be escorted off the premise. Nova then auditioned in Los Angeles, but with a different hairstyle to avoid recognition, and was again unsuccessful. He also tried further in Season 3 and 4. In the last round each contestants performed solo. After their performances, the contestants were then divided into 3 group of 16 and placed in separate rooms. One group was eliminated, and 32 contestants proceeded on to the semi-final rounds. The format changed slightly in Season 2; instead of three groups of 10, the semi-finalists were grouped into four groups of 8. The singers performed solo in a new improved stage with piano accompaniment by Michael Orland, and the performance pre-taped. There were no live audience although family members of contestants were present in the Red Room where the contestants were placed. Clay Aiken (born November 30, 1978 in Raleigh, North Carolina, 24 years at the time of the show) auditioned in Atlanta, Georgia with Heatwave's "Always and Forever". He studied at the University of North Carolina at Charlotte, where he graduated with a degree in special education. Rickey Smith (born May 10, 1979 in Keene, Texas, 23 at the time of the show, died May 6, 2016) auditioned in Nashville with Brian McKnight's "One Last Cry". He worked as a teacher before the show. Smith was killed in a car crash on May 6, 2016, making him the second American Idol finalist to die after seventh season finalist, Michael Johns. 1 2 Because of Corey Clark's disqualification the previous week, it was never revealed whether Trenyce or Rasmusen had received the lowest number of votes that week and so both were declared safe. ↑ None of the bottom 3 were eliminated on the April 2nd results show due to Clark's disqualification. Rhian and Cara Morgan of The Morgan Twins who auditioned for this season of American Idol but was cut in Hollywood, later auditioned for the fourth season of The Voice. They made it to the battle rounds, but were eliminated. Trenyce was also found to have been arrested on felony theft charge, however Nigel Lythgoe considered her offence to be minor and one which she has been honest about, therefore "warranted no concern regarding her participation in the show." During the Top 10, a problem with the telephone system resulted in some votes not being registered for Julia DeMato, however, Fox insisted that the mistake would not have made any difference in Julia DeMato being voted off. ↑ 'X Factor' seeking stars in Newark, but does America need another TV talent show? ↑ "Former 'American Idol' co-host Brian Dunkleman "breaks his silence"". Realitytvworld.com. February 22, 2006. Retrieved February 24, 2011. ↑ "Clay Aiken - This Is The Night - Music Charts". Acharts.us. Retrieved 2010-08-25. ↑ Kinney, Aaron., The importance of being humiliated, Salon.com, 2003-01-22, Retrieved on 2007-03-02. ↑ "Glee Star Amber Riley On Idol Rejection: "I Still Work On Fox And Get Paid"". Accesshollywood.com. September 30, 2009. Retrieved April 22, 2012. ↑ The Fall Of Another "Idol"
↑ "Rating 'Idol' hopefuls". USA Today. March 26, 2003. ↑ Dreyer, Lindsay (March 25, 2013). "Who Are The Morgan Twins From The Voice Season 4?". Wetpaint. Retrieved April 4, 2013. ↑ American Idol Outrage: Your Vote Doesn't Count, Broadcasting & Cable, May 17, 2004. 1 2 "After probe, Paula Abdul to remain on 'Idol'". Associated Press. August 24, 2005. ↑ Vanessa Olivarez's Performance on the Top 12 Show of American Idol Season 2 (March 11, 2003) From YouTube. Retrieved on November 19, 2011. Olivarez's line is frequently misquoted on the Internet as, "Oh, Ryan . . . I'm an artist, not a performing monkey like you! Read your own script!" The video shows that those were not Olivarez's exact words.